Let me be the first to aplogoize – It’s been a few weeks since I’ve posted. Between the last post and now we’ve celebrated Thanksgiving and Christmas (my first time hosting, filled with allergen free Christmas dishes), I’ve transferred to a new real estate agency (because my broker retired), AND my husband and I have also started working on a new project for our business (which includes ripping off the second level of a house and completely rebuilding it). I’ve been busy – I promise I didn’t mean to neglect you! Actually, I didn’t neglect the blog for as long as it looks, because a little over a week ago, I wrote a post on allergy friendly sides to eat with ham BUT something happened and it never published (I promise I’ll write one up again later). 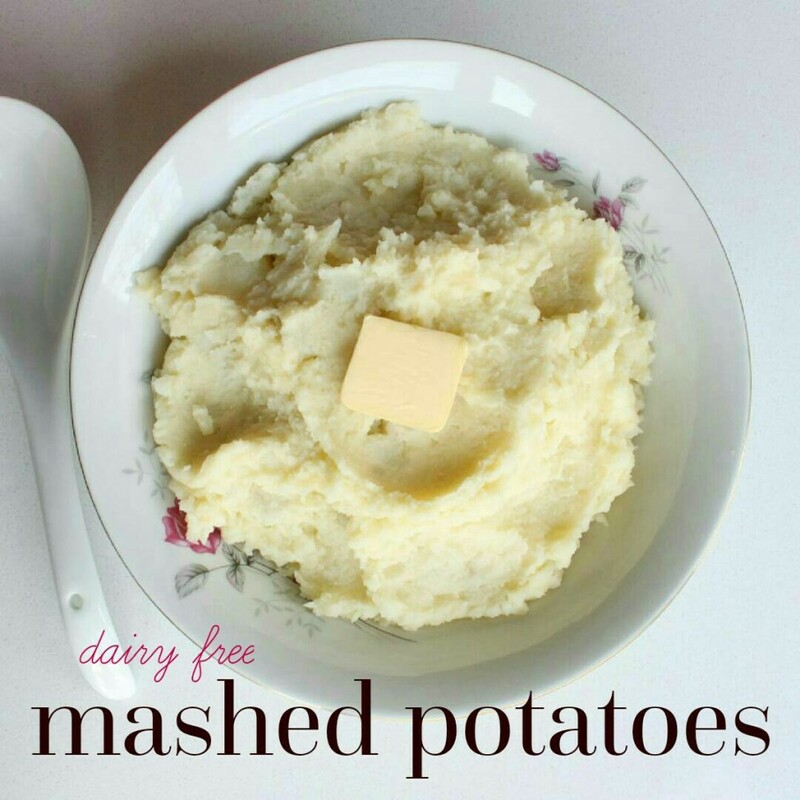 In that post I included these allergy friendly mashed potatoes. Where on earth could that recipe be now? No idea. I need it because I’m making cottage pie with ground beef tonight for dinner (it goes on top). I planned on modifying my recipe for the pork tenderloin shepherd’s pie I created a few months ago but unfortunately, I also can’t find that recipe. The frustration is killing me. Anyways, hence my reasoning behind posting these today…..I am constantly jotting down my creations on little pieces of paper that float around the house and sometimes (like in the case of the pork tenderloin shepherd’s pie) I lose them. I’ll be posting my recipe for shepherd’s pie made with ground beef (also known as cottage pie) hopefully tomorrow (or as soon as I can too)! 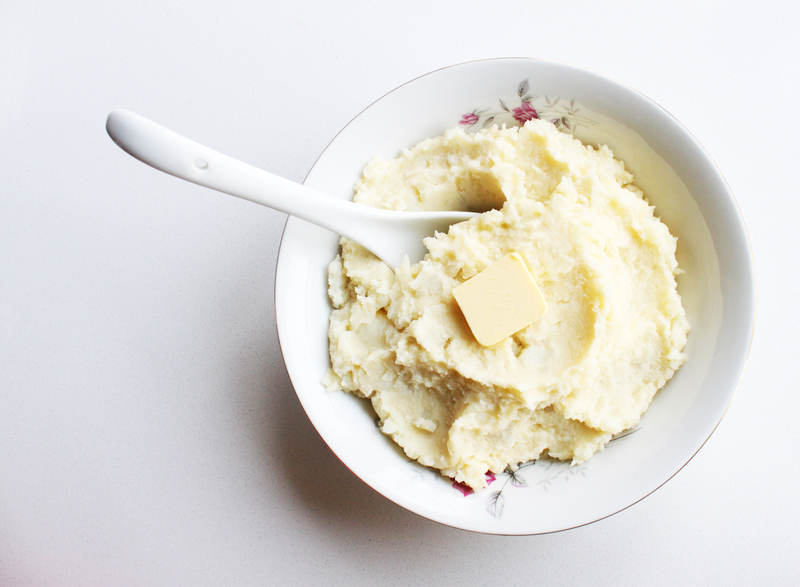 Place your quartered potatoes into a medium pot and top with water. Bring to a boil and simmer for about 20 minutes or until there is no resistance when poked with a fork. Drain the water from the pot and then smash the potatoes with a potato masher (I used this one, OXO Good Grips Nylon Potato Masher for Non-Stick Cookware , because I like to mash in the same pot as I cooked the potatoes in - why dirty something else?). 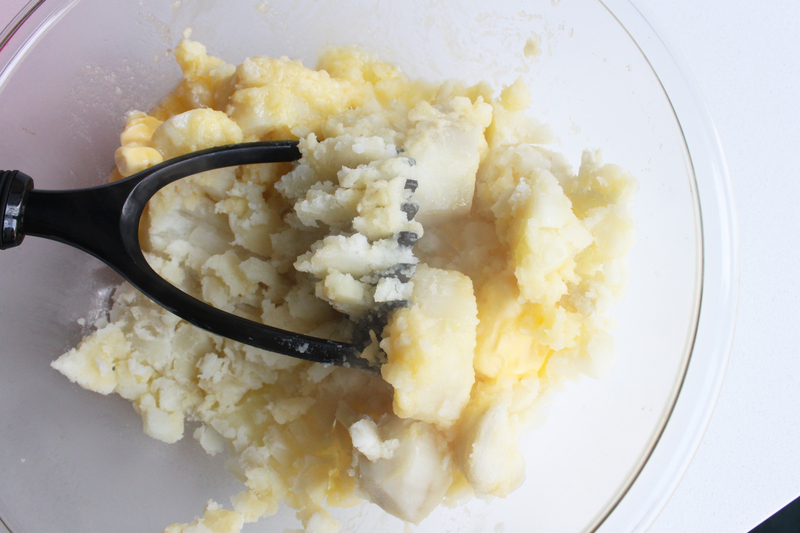 Once the potatoes are smashed, add the butter (or substitute) and milk, stir to combine. 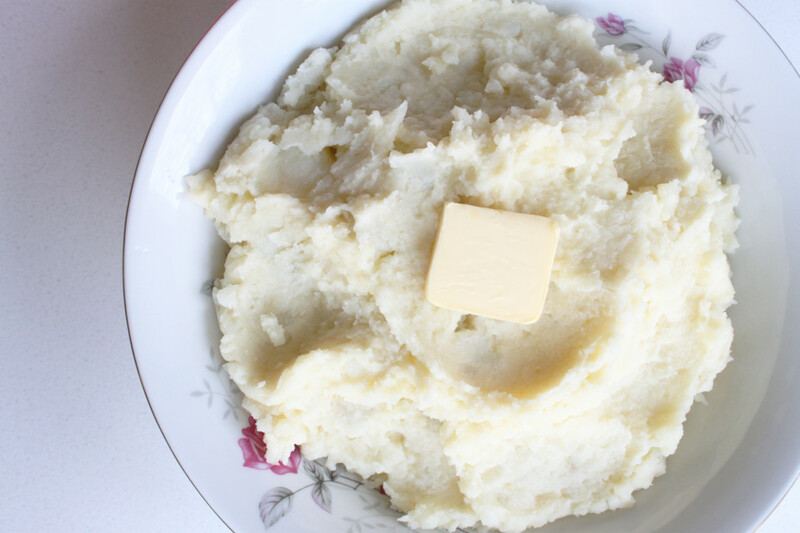 If the potatoes seem too dry, add either more butter or more milk. Season with salt and pepper (usually 1/4 to a 1/2 tsp of each will do).